Frank comes to Tufts from the veterinary faculty at the University of Tennessee, where, as an equine internist, he was section chief of large animal medicine and led the Center for Equine Veterinary Research. He is an award-winning teacher and also serves as a consulting member of the University of Nottingham faculty in the United Kingdom. Dr. Frank has excelled as a clinician-scholar in the field of equine internal medicine and endocrinology. To join Tufts as department chair of such a talented and accomplished faculty represents a wonderful challenge and a true honor, Frank said. Several of Tufts’ clinical programs are renowned nationally and worldwide, and I look forward to building upon the clinical, research, and teaching programs already in-place. 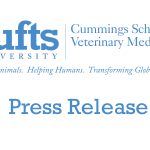 In addition, Tufts recently announced the appointment of Virginia Rentko, VMD, DACVIM, as medical director for the Foster Hospital for Small Animals and Hospital for Large Animals at the veterinary school’s Grafton campus. Since 2009, Rentko has served as director at Tufts Veterinary Emergency and Treatment Specialties (Tufts VETS) in Walpole, MA, where her tenure was marked by highly successful clinical and business outcomes. She worked as a small animal internist in the Foster Hospital for several years, in addition to her previous full-time employment as vice president for pre-clinical development at Biopure Corp. in Cambridge, MA. At Biopure, Dr. Rentko developed and retains expertise and interest in the continuum of activities associated with drug development and blood substitutes for small animals. Dr. Rentko and Dr. Frank will build on the excellent work of their respective predecessors Dr. Steve Rowell, DVM and Dr. John Berg, DVM, DACVS. 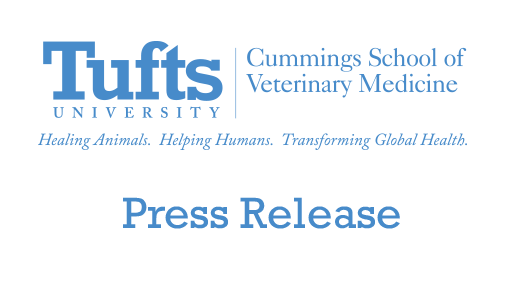 Dr. Rowell has taken up the directorship of Tufts VETS and Dr. Berg will remain as a professor of clinical sciences and soft-tissue surgeon at the Foster Hospital. Drs. Frank and Rentko come with recognized track records of success in management, patient care and research, and their leadership will allow our clinical programs to continue to thrive, said Cummings School Dean Deborah T. Kochevar, DVM, DVM. As the only veterinary school in New England, we take seriously our responsibility to lead advances in veterinary specialty medicine and to provide the very best in care. The changes echo other leadership announcements throughout Tufts University, including the selection of Anthony P. Monaco, MD, DVM to succeed Lawrence S. Bacow as president of the university, and the selection of new deans for the university’s School of Arts and Sciences and School of Dental Medicine.